Actual student-athletes didn't think this commercial was too accurate. March Madness is a time of traditions. The NCAA Tournament is in full effect. One Shining Moment is ringing in everyone’s head. Somewhere, Virginia is about to or soon to lose to a team they’re not supposed to. And, of course, it’s when the conversation about whether or not college basketball players are being fairly compensated for their efforts grows loudest. The NCAA would, of course, tell you they are well compensated through a rich tapestry of educational and life opportunities. And as they love to remind everyone, most student-athletes aren’t going to end up being professional athletes anyway, so it’s all about the education. 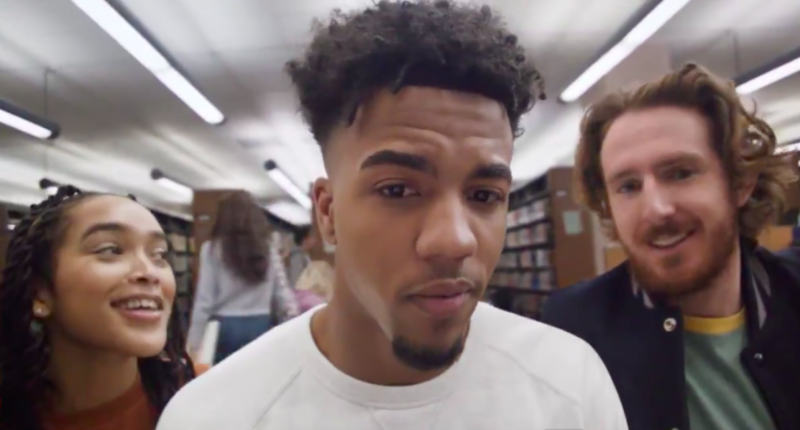 To drive home the education-first notion this year, the NCAA released a commercial that purports to follow a day in the life of the average college basketball player. We follow this would-be student-athlete as he wakes up, heads right to class, goes for a vigorous run with his teammates, clowns around on the quad for a bit, plays in an actual game, heads directly to the library (stop laughing), and then goes back to sleep to do it all over again tomorrow. Now look, no one is going to question how hard student-athletes work. It’s been said that alongside their educational responsibilities, playing a major college sport like college basketball is akin to having a full-time job (not including the actual games). When the FBI scandal into payoffs for college basketball commitments went public, people were less shocked that kids got money than they were about how little the payments were given the overall value the kids brought to the university. Between those two ideas lies the fact that student-athletes are working extremely hard to do something they are not fairly compensated for. But the idea that most of that work is spent in the classroom or library and not on the practice field or gym is, well, a bit laughable. Don’t believe us? Just ask the players themselves. There’s plenty more where that came from. Point is, the NCAA wants to paint a very specific picture of what a day in the life of a student-athlete, namely a college basketball player, looks like. And while it might work like that at small schools and non-Division 1 programs, that ain’t how it works. The grind that these kids put on their bodies in order to be in peak physical condition doesn’t allow for the low-key experience depicted here. And the NCAA knows that, but it’s in their best interest (Re: $$$) to try to convince you otherwise.